What Is Copywork? 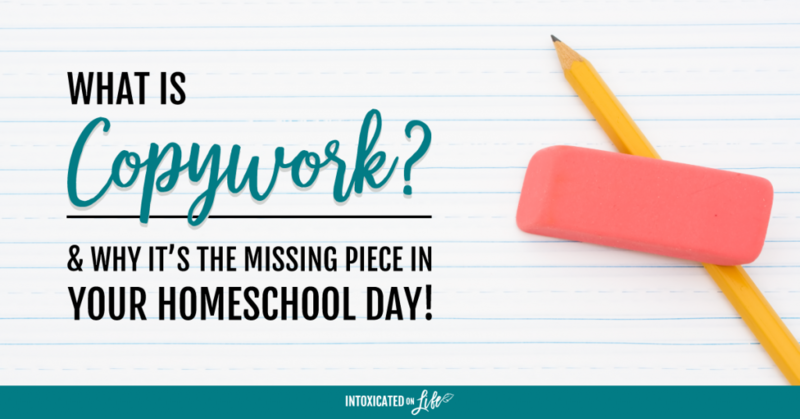 And why it's the missing piece in your homeschool day! My oldest is 14 now, and his handwriting still looks like it was scribbled out by a chimpanzee (sorry to all you chimps out there). Watching him write reminds me of what young Zorro must have looked like in school, slashing his pen across the paper. If it weren’t so sad, it would be comical. We weren’t nearly as rigorous about handwriting skills when he was younger—and it definitely shows. Thankfully, we learned we needed to be more disciplined with his younger brothers and their penmanship is quite good. 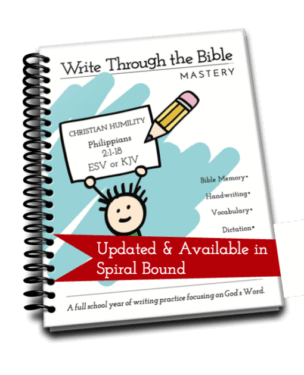 It all started when we combined copywork with our Bible memory goals. Copywork, put simply, is copying by hand a well-written passage, quote, or verse. You can copy nearly anything for the sake of handwriting practice—but it definitely feels more meaningful when you’re writing timeless and inspiring words. Thoughtfully recreating a piece of content by hand helps enforce proper penmanship, punctuation, spacing, capitalization, and writing style, as well as an appreciation of eloquent work. 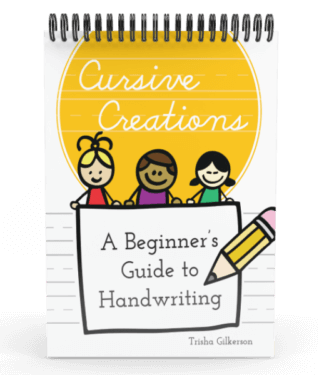 The rote exercise of handwriting practice teaches just that: handwriting. But copywork goes several steps beyond handwriting. 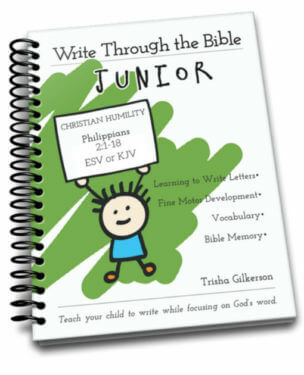 Writing and rewriting a powerful Bible verse, for example, gives kids the opportunity to understand what the verse means. Without realizing what they’re doing, they will have memorized it in short order. They’ll learn how letters are spaced, where punctuation belongs, how paragraphs work, and proper syntax. They’ll increase their vocabulary, and they’ll begin to see how different writers use words to convey their ideas. Another one of the compelling reasons to add copywork to your homeschool curriculum is to help your child master spelling. Teachers have long taught spelling by having children write their spelling words over and over again. When students are copying a passage with the spelling word in it, they’ll not only learn to spell it, but they’ll also learn the definition. In addition to the benefits I’ve already mentioned, there are even more reasons to add copywork to your child’s routine. Copying something letter for letter, word for word can be very relaxing. 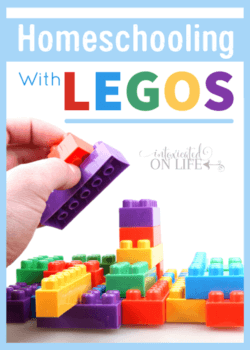 Kids get to free their mind and take in what they’re doing at their own pace. Their writing becomes a journal of great ideas. Thematic copywork created around a subject can be a source of learning they refer back to often. A journal of quotes from brilliant leaders in the science community will be helpful to them for years to come. Well-written, grammatically correct recipes from friends and relatives become a keepsake they can share with their own children someday. It will start a dialogue. Having a conversation about what they are writing can be eye-opening. How do they feel about what they’re writing? How do you feel about what they’re writing? Is it beautiful? Is it hard to copy? What new words did they discover? Kids can contribute to the curriculum. Choosing writing samples that are well-written matters. That doesn’t mean kids can’t have a say in what they’re writing. Is there a story your child loves? Let them choose something from a favorite book to copy. Do they love learning about nature? A paragraph about why grass is green could be fun. Give them options. Obviously, what a kindergartner can do will be very different from a high school sophomore. With younger kids especially, it’s important not to overload them. The work needs to be simple, clear, and stress-free. Don’t push too much, too fast. You want them to love this exercise. With older kids, the work should challenge them…in a good way. Ready to Get Started With Copywork? 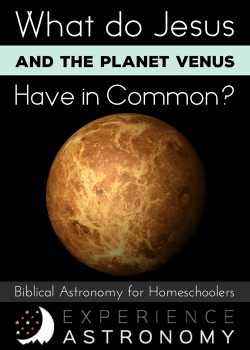 If you’d like to try copywork in your homeschool, we have downloads that will help you get started right away. 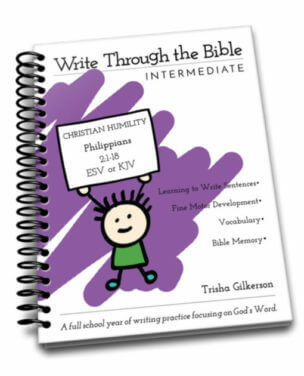 Our Write Through the Bible curriculum is designed to integrate handwriting with other skills like vocabulary, dictation, and building fine motor skills—and Bible memory. 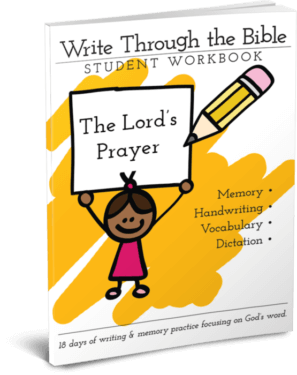 These are full-school-year workbooks for kids of all ages. You can also try our free seasonal copywork printables: Spring, Summer, Winter, Autumn. 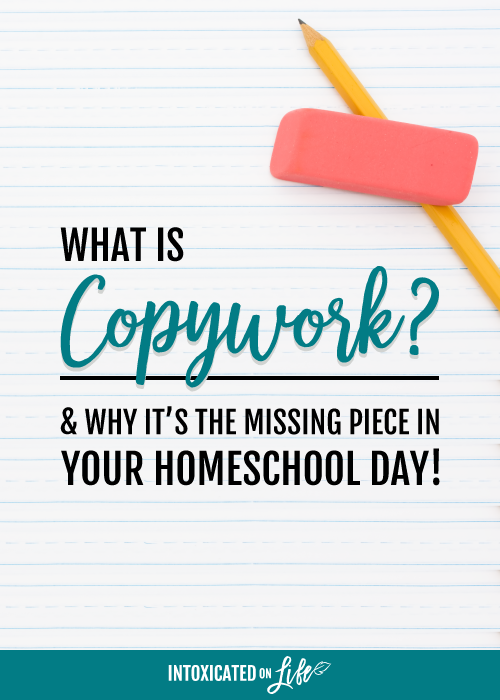 If you use copywork as part of your homeschool day, share your best ideas with us. I’d love to know what your kids respond to and how it’s helped them learn. I’m sure you have lots and lots of fantastic ideas. 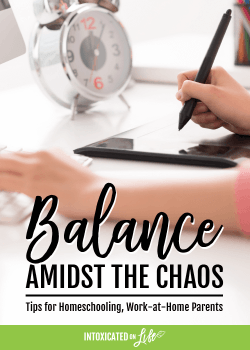 Sharing at The Modest Mom Blog, Pam’s Party & Practical Tips, Dear Creatives, and Denise Designed.